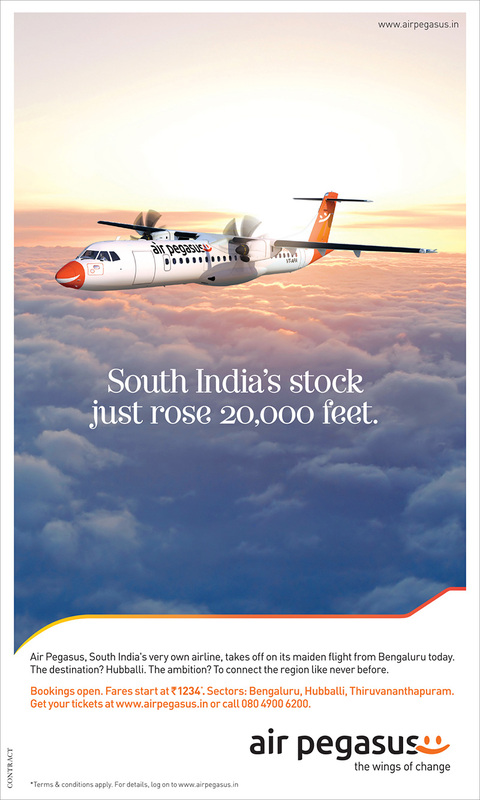 Air Pegasus is an exclusively South Indian airline based in Bangalore. While there are close to 30 airports in the region, only around half of them are connected by air. 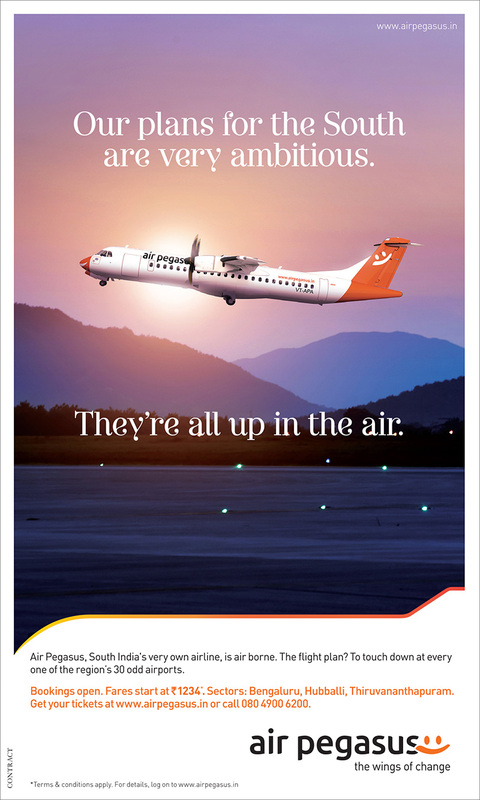 The airline’s ambition is to change that. 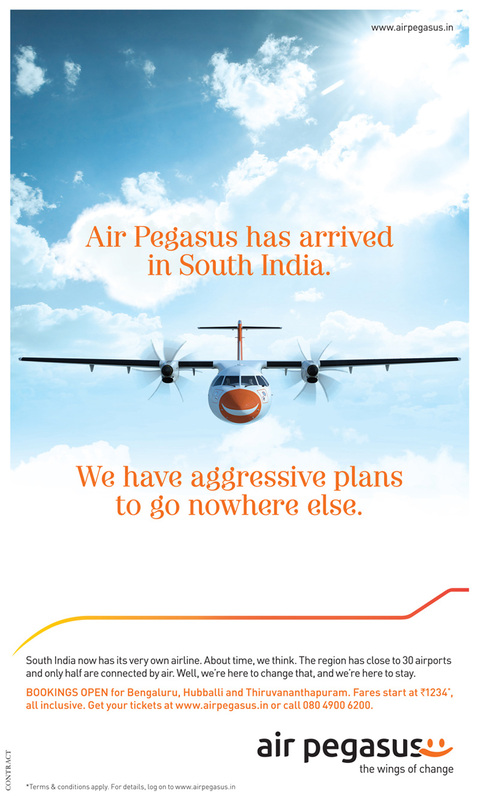 This ad announces Air Pegasus’ arrival in South India and its intentions of staying right there.